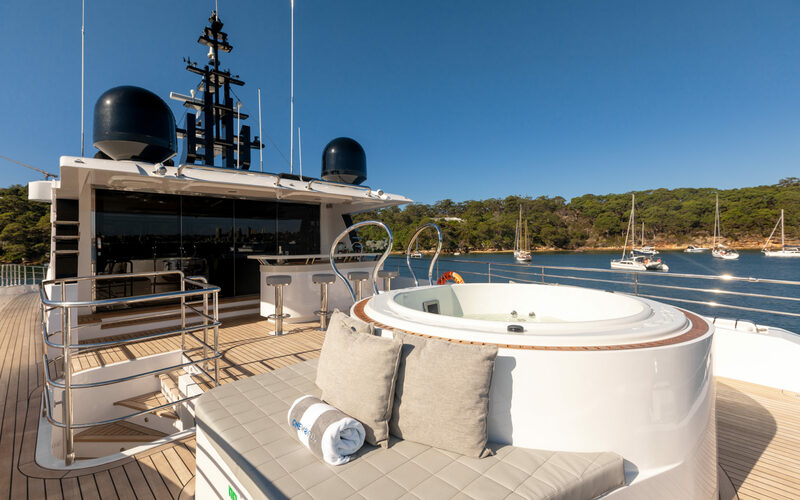 ONEWORLD is a one of a kind super yacht with a beautifully appointment interior & exterior, her modern look and neutral colour scheme make her an ideal super yacht for any occasion. Oneworld harbour charters has many beautiful event spaces aboard, and boasts an open plan layout leading to expansive decks. One of her most favoured features are her expansive rear flybridge that are fitted with luxurious sofas & daybeds, along with her large Aquavia 5 person jacuzzi. 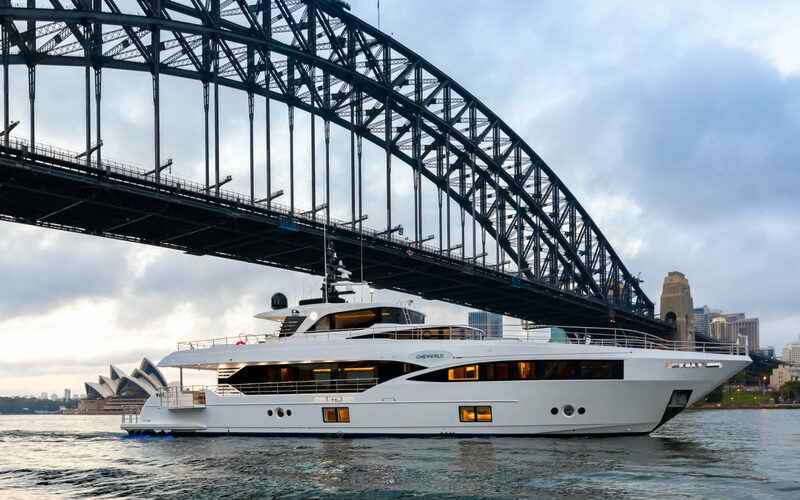 Oneworld harbour charters are ideal for any exclusive events aboard Sydney harbour, from weddings to the more intimate charters. 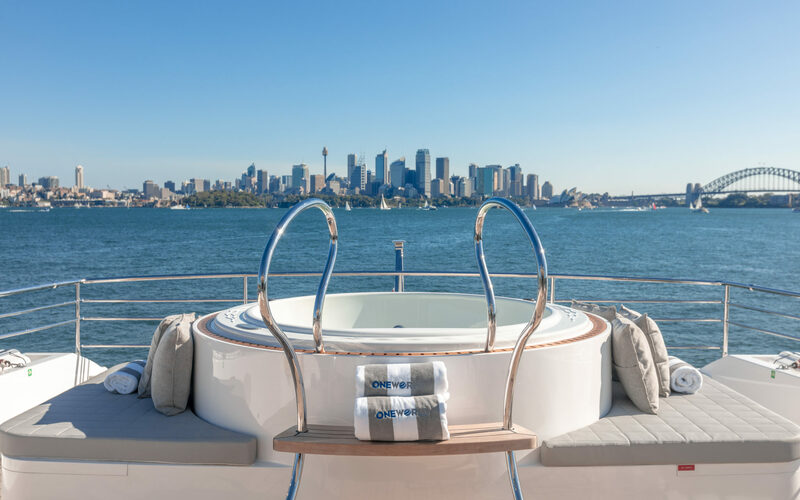 If you are looking for exclusive accomodation, Oneworld harbour charters can accommodate up to 12 guests overnight in 5 luxe cabins.The crew aboard will ensure your expectations are exceeded, with over 20 years experience worldwide in the industry, you can rest assured knowing you are in capable hands. Our liveabaord charters on Sydney harbour and beyond are a one of the kind experience, contact our team to start planning your stay today.